We are a straight edge razor kind of gentlemen. A vintage razor shaves closer, better and just leaves a man with an overall boost of testosterone. But what about style? The traditional single/double razor has been around for a lot of decades, and one Kickstarter project says they have made several improvements over that old design. The ‘Single Edge’ is a vintage ‘injector-style’ single razor with replaceable blades. These blades come in a preloaded magazine that make handling the blade with your fingers unnecessary. It is also made out of high-grade stainless steel, has a fantastic modern design and promises to be relatively clog proof experience. But perhaps what stands out to us most is its ability to customize your shave to fit anything from a weekend trim to a first date ‘aggressive’ smoothness. What motivated you to launch your company and create the Single Edge? Patrick Coddou: A few years back, my best friend and I were so dissatisfied with our shaving experience that we set out to find the best razor through a razor review website. After reading thousands of reviews and testing many styles of blades, I found the injector-style razor to be the best way to shave. 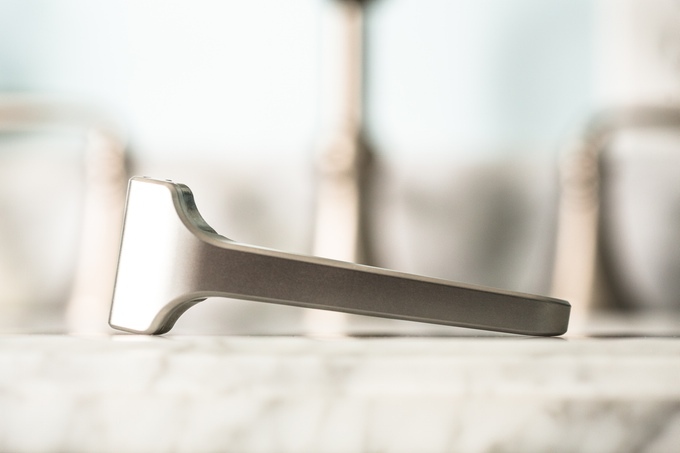 Since the razor has been out of production for awhile, I took the vintage design and reinvented it to a modern, stainless steel razor for a new generation. What exactly is the Single Edge? And how is it different from a regular razor? PC: The Single Edge is an injector-style razor that utilizes a single, easily replaceable blade. One distinguishing trait of our safety razor is that you don’t have to handle the blade in order to swap it out. Instead, you insert a preloaded blade magazine into the Single Edge and slide the lever to easily swap out the blade in the razor. 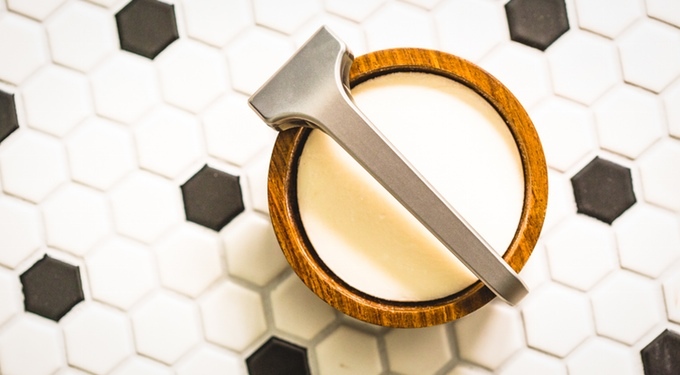 It is also very familiar in design to anyone who has not used a safety razor before and can fit into any shaving routine. Last, it comes with a customizable option for changing out settings that range from a mild to aggressive shave. How did you go about designing the Single Edge? PC: I spent hours and hours agonizing over the details in CAD on my laptop. I looked at many of the vintage injector razor designs and reinvented them to be clean, modern, and minimalistic. It took machining about a dozen prototypes from a lab in New York to get to our final prototype that you see in our Kickstarter page. We are proud of the final result! What’s the most surprising thing about running a Kickstarter campaign? PC: We are humbled and thrilled to say that we funded our original goal in less than 24-hours. We are now on our way to raising almost three times that amount. It has been so overwhelming to see the incredible feedback and response that we have had from so many people here in the states and from around the world. It is one thing to believe that you have a great product, but it’s another to see hundreds of people emphatically agreeing with you. How do you plan on manufacturing the razors? PC: We are currently working on finalizing the details for our manufacturing. What’s the biggest mistake guys make when shaving? PC: Believing that more blades on your razor will give you a better shave. Despite what you’ve been told all these years, shaving with one blade really is better. It gives you just as close of a shave as your multi-bladed razor, but with much less irritation. It’s pretty simple, really – more blades means more friction, and friction irritates your skin. That’s why millions of men all over the world enjoy single-bladed shaving – and prefer it to multi-bladed. How can people follow or contribute to your campaign? PC: Great question! Head over to our Kickstarter page to check for updates and to preorder your Single Edge now.